When I began working on my adult coloring books, I gave my daughter several of the pages to try alongside me. She loved them immediately. We sat side-by-side and worked on the patterns and shapes together. She would slide her page over to me and show me what she’d chosen to color, which colors she’d selected, and how her page was taking shape. I gave some early pages to a friend to try out and she found her kids were as drawn to the shapes and patterns of the book as my daughter was. She suggested a companion children’s coloring book that contained simpler patterns for children to color along-side parents, grandparents, aunts and uncles, or sitters. And so, this collection was born! 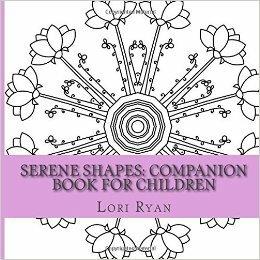 This book contains several of the simpler patterns that show up in volumes one through three of the adult version, as well as new shapes just for the kiddos. So, grab your pencils, markers, or brushes and get to work! You’ve got some stress reducing to do. This book contains 42 images printed on one side of the page only. It contains an extra wide inside margin to allow for easier removal of the pages for coloring.